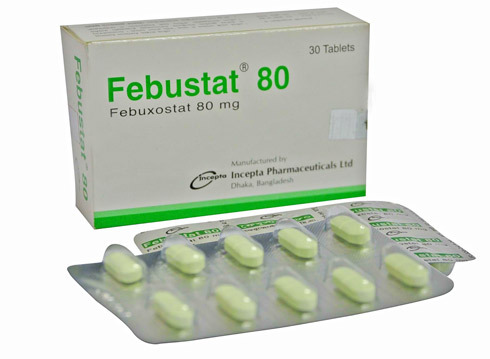 Febustat is a xanthine oxidase (XO) inhibitor indicated for the chronic management of hyperuricemia in patients with gout. It is not recommended for the treatment of asymptomatic hyperuricemia. For treatment of hyperuricemia in patients with gout, Febustat is recommended at 40 mg or 80 mg once daily. 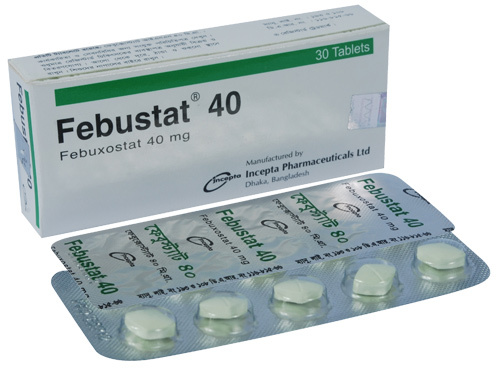 The recommended starting dose of Febustat is 40 mg once daily. For patients who do not achieve a serum uric acid (sUA) less than 6 mg per dL after 2 weeks with 40 mg, Febustat 80 mg is recommended. No dose adjustment is necessary when administering Febustat to patients with mild to moderate renal or hepatic impairment. Safety and efficacy in children below the age of 12 years have not been studied. Pregnancy Category C: There are no adequate and well-controlled studies in pregnant women. Febustat should be used during pregnancy only if the potential benefit justifies the potential risk to the fetus. It is not known whether this drug is excreted in human milk. Because many drugs are excreted in human milk, caution should be exercised when Febustat is administered to a nursing woman.